I decided to make a Frequently Asked Question (FAQ) page for the site. Hopefully this not only reduces the size of my email box, but also enables readers to get a rapid financial education. In fact, you can even use this page as a test of your own financial literacy. Read through the FAQs and count up how many answers you didn’t know prior to reading the FAQ. 0: You’re brilliant and should sign-up to moderate the forum! 1-5: Congratulations! You’ve been paying attention. 6-10: Not bad, but you have some work to do. 11-15: You need to spend a lot more time on the site. >15: Holy cow! You should send me a check for all the money I just saved you! 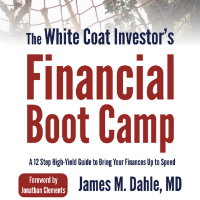 The easiest place to buy The White Coat Investor: A Doctor’s Guide to Personal Finance and Investing is on Amazon. It is available as a print book (usually ~ $20), an e-book ($9.99), and an audiobook via Audible ($14.95). The book is also available on Barnes and Noble and iBooks. Bulk orders of the print book are also available. If you purchase 25 or more copies, we charge $15.99 each including tax and shipping. Contact [email protected] to do a bulk order. A bulk order generally takes 12-14 days to arrive as it is printed on demand, although for an additional charge it can be rushed in about a week. If you need it faster, you’ll need to order directly from Amazon. Most of the posts on this blog are written by Jim Dahle, a practicing emergency physician. You can learn more about him and his passion to help high-income professionals get a fair shake on Wall Street here. Once a week we run a guest post. Be sure to read the guest post policy before submitting one. The ads help fulfill the 2nd and 3rd mission. Learn more about our financial conflicts of interest. How can I apply for or support The White Coat Investor Scholarship? The White Coat Investor Scholarship contest ran for the first time in 2015 and again in 2016 when we gave away more than $30,000 in cash and prizes. We generally start accepting applications (a 1000 word essay) between June 1st and August 31st. You can support the scholarship by donating money, buying sponsorships, and/or volunteering to judge the essays. 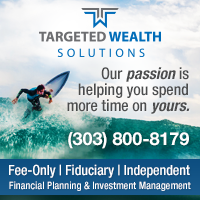 We have numerous opportunities available to advertise the good guys in the financial services industry. That said, we make plenty of money around here and are not desperate for advertising dollars. All advertisers must be a firm we would be comfortable referring readers to. Contact [email protected] for more information. 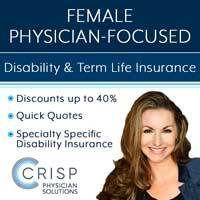 A typical doctor can ensure a comfortable retirement after a 25-30 year career by saving 20% of her gross income for retirement. Saving for other goals (house down payment, new car, college, paying off student loans etc) is all in addition to that. If you are not saving that much, try to increase how much you save by 1% each year and as you accomplish your other financial goals, redirect that income toward retirement savings. How do doctors get wealthy? The most significant wealth-building factor for most physicians and other high income professionals is their earned income. If you carve out a significant portion of your earned income and invest it in some reasonable manner, you are highly likely to become wealthy over a two to three decade period. How can I get rich faster than 2-3 decades? Unfortunately, the “get rich slowly” method of working hard, earning a lot of money, carving out a big chunk of it to invest, and investing it in some reasonable way cannot be rushed. (Although in extreme examples where you save more than 50% of your gross income you can shorten the period to financial independence to less than 10 years.) If you wish to become wealthy faster than that it will require you to take on significant risk, such entrepreneurial risk and leverage risk. Done poorly, these methods may be just as likely to make you poor as rich. Done well, you may be able to punch out of a job you hate in less time than it takes to finish medical school. Why are doctors so bad with money? People who go into medicine and other healing professions are generally less interested in finances and building wealth than similarly ambitious and intelligent people in other fields. Their educational institutions promote a taboo against talking about money and provide no education in business, personal finance, or investing all while charging incredibly high amounts of tuition. 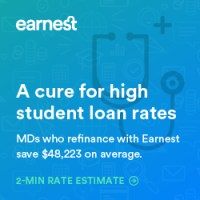 This normalizes the experience of carrying large amounts of debt, which results in doctors starting out their financial lives not only a decade, but also hundreds of thousands of dollars behind their college roommates. Doctors also tend to be trusting of other professionals, mistakenly assuming that all professions share the same code of ethics. The financial services industry takes advantage of this trust to charge high fees and sell doctors products they do not need. 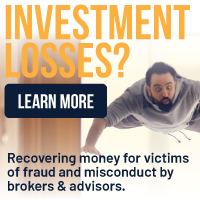 Due to their high income, doctors are deliberately targeted by financial advisors, insurance agents, mortgage lenders, realtors, and attorneys. 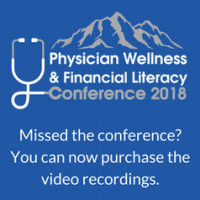 Many doctors also assume that because they know a lot about medicine that they also know a lot about the financial world, which is unfortunately rarely true. Ignorance and overconfidence are a dangerous combination and even a high income cannot overcome them. What are the four most important words on this website? 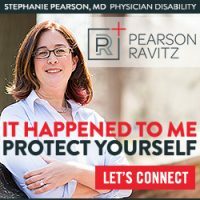 A doctor willing to continue to live a lifestyle very similar to what she lived as a resident, for just 2-5 years after residency, will be able to pay off all of her student loans, save up a down payment on her dream home, and catch up to her college roommate’s retirement savings accounts. The financial jump-start created by living like a resident while earning as an attending is likely to result in a doctor becoming a millionaire less than a decade out of training using nothing besides her earned income. Should financial considerations affect my specialty choice? The most important consideration when choosing a specialty is what you will be happy doing for many hours a week for many years. Longevity in your career choice is likely to have a larger effect on your finances than anything else and it seems silly to spend so much of your life doing something you do not enjoy. That said, realize that you will likely care much more about your income and lifestyle ten years out of residency than you did as an MS3. If there are two specialties you like equally, pick the one with the better income and/or lifestyle. How long should I take to pay off my student loans? How long do you want to be in debt for? I generally recommend that physicians have their student loans paid off within 2-5 years of residency graduation. If you live like a resident while earning like an attending, you can do that. Think of it this way- if you had gone into the military your medical school would be paid for within 4 years of residency graduation. So if you still have student loans four years after residency, maybe you made the wrong decision about how to pay for school. 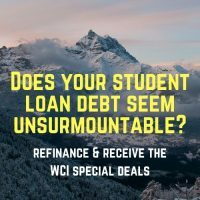 If you are an attending (or a resident with contract in hand) and you will not be directly employed by a 501(c)3 (and thus eligible for Public Service Loan Forgiveness) you should almost surely refinance your loans. 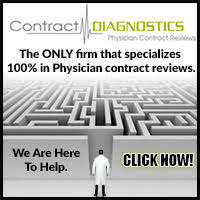 The White Coat Investor has negotiated a special deal for you with these companies. What do I need to do in order to qualify for PSLF? Public Service Loan Forgiveness requires you to make 120 qualifying monthly payments while directly employed by a 501(c)3 (non-profit). Qualifying payment programs include ICR, IBR, PAYE, REPAYE, and the “standard” 10 year payment plan. You also need to have your employer certify you each year (can be done retroactively, but I recommend you do it as you go along.) The best way to maximize the amount forgiven is to enroll as quickly as possible in either PAYE or REPAYE, minimize your taxable income during your training years, and do as many residencies or fellowships as possible. The amount forgiven is generally the difference between sum total of the “standard” 10 year plan payments and the sum total of your actual 120 payments, many of which will be tiny due to the income drive repayment program provisions. What refinancing terms should I take? If you are fully committed to living like a resident for 2-5 years until your student loans are paid off (i.e. 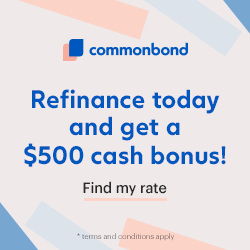 throwing a high four to five figure amount at them each month), then I recommend you use a 5 year variable interest rate loan in order to get the lowest possible interest rate. In that scenario, you can afford to “self-insure” against interest rate risk. If you are not committed to this course, then you may wish to pay the bank to run that interest rate risk for you by using a fixed loan for a longer term. Be aware that almost every doctor I’ve ever run into has been glad she paid off her loans ASAP, and the very few who were glad they stretched them out had fixed rates under 2%. How should I manage my student loans in residency? Student loan management as an attending is very straightforward (refinance unless going for PSLF). As a resident, it can be far more complicated. In fact, this is one of the most complicated financial decisions a doctor ever faces and a great time to consider professional advice. For most residents, enrolling in REPAYE even before graduating from medical school is the best choice because REPAYE effectively subsidizes your interest rate and all of those payments count toward the 120 required payments for PSLF. However, if you are married to another high earner, you may wish to file your taxes Married Filing Separately and enroll in PAYE instead of REPAYE. If you are going for PSLF, you may also wish to switch from REPAYE to PAYE at the time of residency graduation in order to maximize the amount forgiven. Finally, private loans (i.e. those not eligible for REPAYE or PSLF) can be refinanced even as a resident while still keeping payments low. 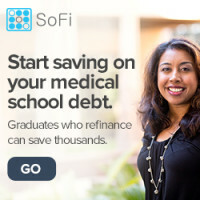 Deferment of student loans during residency is usually a mistake. What do I need to know about disability insurance? Life insurance is pretty straightforward, because life is fairly black and white–you’re either alive or dead. Disability, however, is more like fifty shades of gray. So disability insurance policies are far more complicated than life insurance policies. You’ll need to spend a little bit of time learning about disability insurance once or twice in your life. Almost surely. If you rely on your own earned income to live, you need disability insurance. You can cancel it when you are financially independent. If someone else besides you depends on your earned income, then you need life insurance. Here’s how to buy it. Term. Everything you need to know about whole life insurance can be found here. There are a few niche reasons to buy it, but neither being a doctor nor a high earner is one of them. Who should I buy insurance from? Life and disability insurance is best purchased from an independent insurance agent who can sell you the best policy for you no matter which insurance company it may be from. Here is the list of insurance agents vetted by The White Coat Investor community. Literally thousands of readers before you have used these agents and had excellent experiences. Don’t gamble on someone in your local area when this can be easily accomplished by phone and email. Should I dump my whole life insurance? Unfortunately, because the crummy returns of whole life insurance are heavily front-loaded, the decision of whether or not to keep a policy is a much different than decision than whether you should have bought it in the first place. First evaluate the policy either on your own or with professional help, then if it doesn’t make sense to keep, dump it in the most tax-efficient manner possible. 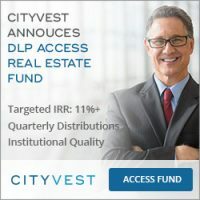 What are the best accounts to invest in? An employee ought to become an expert in the accounts his employer offers. The self-employed physician will generally want to use an individual 401(k). Most doctors will want to use a Backdoor Roth IRA. Those who are using a High Deductible Health Plan should take advantage of a Health Savings Account, a triple tax-free Stealth IRA. 529s are generally superior to an ESA due to their higher contribution limits and potential state tax breaks. If you have maxed out your available accounts and wish to invest more, you can invest an unlimited amount in a taxable account, which despite its name generally offers superior risk/return characteristics to many financial products such as cash value life insurance and annuities. Invest like they vote in Chicago- early and often. Any reasonable investing plan is likely to reach your reasonable financial goals if it is adequately funded. Remember when investing that you are not competing against other investors or against benchmarks such as the S&P 500. You are competing against your goals and reaching them while taking the least possible amount of risk should be your goal. That said, unless you are willing to save more than 50% of your gross income, you will need to take on significant risk with your investments. That means most of your portfolio needs to be invested in riskier assets with a higher expected return such as stocks and real estate. You need your portfolio to not only keep up with inflation (historically about 3% a year) but to beat it. Reducing the tax drag on your investments is also important and can be best done by maximizing the use of tax-protected retirement accounts. Fees also cause a significant drag on your investment return, so minimize them whenever possible. The best place to begin investing is with broadly diversified, low-cost index funds inside of tax-protected accounts such as 401(k)s and Roth IRAs. Most physicians who do nothing more than max out their available retirement accounts and invest the assets in index funds will retire as multi-millionaires. The sooner you start investing, the longer the period of time for compound interest to work, but make sure there isn’t a better use for your money before investing. Some great uses for your money that you probably ought to consider before investing include paying off credit card debt, building an emergency fund large enough to keep you from going into debt due to typical financial emergencies, and getting the entire 401(k) match offered by your employer (not getting that is leaving part of your salary on the table.) Most investors do not wait until they are completely debt-free prior to investing, but if you have any debt other than a low-interest rate mortgage or low-interest rate student loans, realize that your best investment may be paying off your debt. Can I have more than one 401(k)? Yes. But be sure you know the rules before you use more than one 401(k). Very few people including those who work in HR and accountants actually understand them. Can I still use a Roth IRA as a high-earner? Yes, but you must do it through the backdoor. 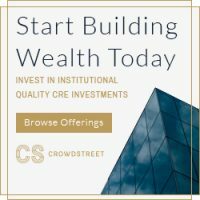 What is the best way to invest in real estate? 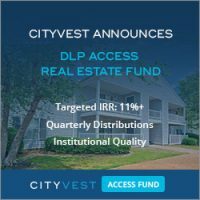 Investing in real estate is not as simple as investing in publicly traded stocks, where the best solution is to buy them through a broadly-diversified, low-cost index fund. 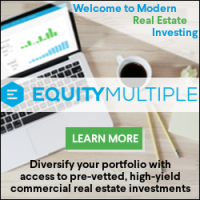 There are many good ways to invest in real estate and these range from publicly traded REITs such as the Vanguard REIT Index Fund (least hassle but highest correlation with the stock market) to owning and managing the property down the street yourself (most potential to add value and save on taxes but the greatest hassle.) 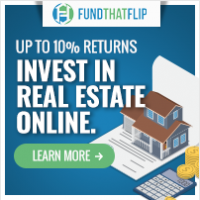 There are other ways to invest in real estate that fall in between these options, including private real estate funds and crowdfunded/syndicated investments. Many investors mistakenly assume that one must choose between stocks and real estate. Since they both have high returns and relatively low correlation with each other, I recommend you do both. But whether you feel more comfortable with a larger percentage of your money in real estate or stocks is a personal decision. Stocks offer less hassle and greater diversification. Real estate offers more opportunities to add value and use leverage safely. A portion of almost every investor’s portfolio should be dedicated to the far less volatile but lower returning asset class of bonds. A bond is a loan to a company or a government and has low correlation with both stocks and real estate. Benjamin Graham, the mentor of Warren Buffett, recommended an investor never have less than half of his portfolio in bonds. Use extreme caution disregarding that advice, especially before you’ve passed through your first bear market. What order should I fund my accounts in? While it is difficult to dictate an exact order that will be appropriate for everyone, there are some general guidelines that most agree on. Obtain any available employer match. Missing out on this is leaving part of your salary on the table. Eliminate high interest rate (8%+) debt. This risk-free “investment” provides a guaranteed return that you will need to take significant risk to beat. Fund a Health Savings Account (HSA) if a High Deductible Health Plan is right for you. Fund all available retirement accounts. This includes 401(k)s, 403(b)s, Individual 401(k)s, profit-sharing plans, SEP-IRAs, SIMPLE IRAs, Backdoor Roth IRAs etc. Remember you may be able to have multiple 401(k)s. Fund the tax-free (Roth) ones first unless you are in your peak earnings years and don’t expect to be able to max out both tax-deferred and tax-free accounts for the year. 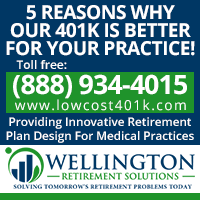 Consider 457b and other deferred compensation plans, if available. Consider a defined benefit/cash balance plan. Pay off moderate interest rate debt (4-8%). Invest in a taxable account in high expected return investments. Pay off low interest rate debt (<4%). Invest in a taxable account in low expected return investments. There is no perfect financial advisor. That said, if you can find one with a little gray hair that charges less than $10K per year, receives no commissions on financial products (i.e. fee-only), has no disclosure events on his ADV2, has at least a half dozen physician clients, uses primarily index funds, and doesn’t start cussing when you mention that you read The White Coat Investor, you’re probably in good shape. It depends on you. If you have the interest to learn to be your own financial planner and investment manager, you are certainly intelligent enough to do so. The discipline and knowledge you need to be successful as a do-it-yourselfer will come with time if you have the interest. However, there is no shame in using a financial advisor and probably 80% of doctors need or want one. Be sure you’re getting good advice at a fair price. Realize that a fair price is very expensive and managing your money yourself likely provides you a higher hourly rate than anything you do as a doctor. How do I fire my financial advisor? It’s not as hard as you think. In fact, you probably don’t even have to talk to him again. Follow these steps. Should I buy a home during residency? No. That doesn’t mean you’ll lose money if you do, but you probably will. It generally takes about 5 years for the appreciation on a home to make up for the heavy transaction costs, and since most residencies are 5 years or less, most residents lose money on a home. When should I buy a home after residency? Buy a home when you are in a stable job and social situation. It generally takes 6-12 months to know if you like your job and your job likes you. Remember that 50% of doctors change jobs within 2 years of residency graduation. Almost all of them lose money on that home. Renting a home during your first year as an attending allows you to get your financial foundation built before making the largest purchase of your life. It also allows you to get a much better deal on that purchase. What is the least expensive way to buy a house? Paying cash for a house is the least expensive way, by far. Not only do you not pay interest nor a large chunk of your closing costs, but you also may be able to get an even better deal on the purchase. That said, even a physician usually cannot do that with her first house. The next cheapest way to buy a house is to put 20% down on a 15 year mortgage and then pay that off over 5-10 years. Should I use a physician mortgage loan? A physician mortgage loan allows a doctor to buy a house without paying private mortgage insurance or putting down a standard 20% down payment. Although rates and fees are a little higher than a conventional mortgage, this can be a good option if you have a better use for your money such as maxing out retirement accounts or paying off student loans. 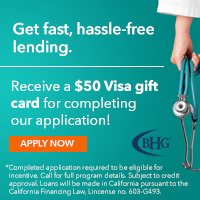 Where can I get a physician mortgage loan? The most comprehensive list of physician mortgage lenders in the world can be found here under our recommendations page. These lenders do thousands of mortgages a year for WCI readers. What do I need to know before refinancing a mortgage? Getting a good deal on a refinance can be surprisingly complicated. Avoid these ten mistakes. There are three great reasons to do your own taxes. The first is you save money. The second is that it really doesn’t take a lot more time to do it yourself since tax software can pull most of your information in from last year’s return and download many of the accounts you would have to type in. But the most important is that doing your own taxes teaches you the tax code, at least the parts relevant to you, which causes you to make better tax decisions in the future. That said, any year your financial situation changes dramatically is a great year to have a high-quality tax accountant look things over to see what else you could do. How can I pay less in taxes? Lowering your tax burden is more a function of changing how you live your financial life than preparing your taxes properly. The IRS smiles upon some activities (like marrying a stay at home parent, having children, getting a mortgage, giving to charity, earning a little bit of money, and saving for retirement) while frowning upon other activities (like marrying a high earner, investing in hard money loans in a taxable account, earning a lot of money, and buying expensive toys.) The largest tax break available to most attending physicians in their peak earnings years is maxing out their available tax-deferred retirement accounts. What is the best tax deduction? The best tax deduction is a business expense that you would have purchased with or without the deduction. Business expenses don’t even show up on the total income line of your taxes. The next best deductions are above the line deductions such as self-employed health insurance, HSA contributions, and self-employed retirement account contributions. The “line” is Line 38 on Form 1040, or the bottom of the first page. You can still take the standard deduction in addition to these and they aren’t phased out as you income climbs. Finally, below the line deductions such as state income taxes, charitable contributions, health care expenses, mortgage interest, and property taxes are the worst types of deductions. Not only must you spend more than you get back as a deduction, but you don’t get the full value of the deductions due to the standard deduction on the low end of the income range and the Pease phaseouts on the upper end. Which is better, a credit or a deduction? A credit is better than a deduction because it reduces your tax bill dollar for dollar. If you get a $200 credit, you pay $200 less in taxes. A deduction, however, only reduces the amount of money you pay taxes on. So a $200 deduction may only reduce your taxes by $67 if you have a marginal tax rate of 33%. How does the amount of tax I owe relate to my withholding? Employers are required to pull a certain amount of money out of your paycheck each pay period and send it to the IRS. If you are self-employed, you required to send in a “quarterly estimated tax payment” on April 15th, June 15th, September 15th, and January 15th each year which does the same thing. However, the amount of money withheld by your employer or sent in as your tax payment is not necessarily related to the tax you actually owe. Every April 15th, these two amounts are reconciled. While a “big tax refund” is nice, it means you have really been loaning money to Uncle Sam interest free all year. While nobody likes an April tax bill, savvy tax planners ensure they pay the IRS as little as possible until as late as possible without paying any penalties or interest. That does require a reasonable ability to forecast your tax bill along with discipline not to spend it on something else. Be sure you understand the Safe Harbor rules to ensure you don’t owe any penalties or interest come April. Why do tax-deferred retirement accounts make sense? Many people worry they will pay more in tax by deferring taxes for decades in a retirement account. These worry is misguided for the vast majority of physician investors. The real question is not whether you will pay a larger dollar amount in tax now or later, but which approach will leave you with more money after-tax. Contributions to your retirement account are made at your marginal tax rate, so you may save 40% or more upfront. When you withdraw money from your retirement account, assuming no other taxable income in retirement, you get to “fill the brackets” from the bottom up. For a married couple taking the standard deduction, the first $20K out of your retirement account comes out at 0%. The next $18K comes out at 10%. The next $50K comes out at 15%. The next $75K comes out at 25%. So you may be saving 40% when you put money in, and only paying an average of 15% when you pull the money out. That’s a winning combination. What is the difference between marginal and effective tax rate? Your marginal tax rate is the rate at which you will pay tax on the last dollar you earn. It is often as high as 30-50% for a physician. Your effective tax rate is the total you pay in taxes divided by your total income. A typical physician may have an effective rate as low as 15% but rarely has a rate higher than 40%. The difference between these two tax rates illustrates an important concept in the tax code. Although the code is progressive (meaning the more you make the higher your tax rate), even high earners only have low tax rates applied to the first few dollars they make. When you get “bumped into the next bracket” you only pay at the higher rate on the money you made above that bracket’s lower threshold. Should I use a tax-deferred or Roth 401(k)? This question can be very complicated and there are a lot of factors that go into it. However, a good general rule of thumb is to use the Roth option in any year when your income is significantly lower than your peak earnings years (think residency, fellowship, working part-time, sabbatical etc) and use a tax-deferred account preferentially during the peak earnings years. What is the best way to protect my assets against lawsuits? Your first line of defense when it comes to asset protection is liability insurance. For a typical doctor that means both professional malpractice insurance and a personal liability (umbrella) policy, both with limits of at least $1 Million. You want the insurance company to be on the hook for enough money that they will produce a robust defense. How likely is it for me to be sued above my policy limits? Doctors win the vast majority of lawsuits against them. Of those they lose, the vast majority are settled. Even if the doctor goes to court and loses, the award amount is still usually well below policy limits. Approximately 1/10,000 doctors per year are successfully sued above policy limits. Even in these cases, the majority are reduced to policy limits on appeal. As a general rule, it is very rare for a doctor to lose personal assets in a professional lawsuit. Keep that in mind as you weigh how much time and effort you wish to spend on asset protection plans designed against that remote possibility. Which assets are protected from lawsuits? Asset protection law is state-specific. It is important that you understand the asset protection laws in your state. You can look up your state laws here and here. As a general rule, retirement plans are almost always protected (with 401(k)s occasionally getting better protection than IRAs), life insurance cash value is usually protected, and annuities might be protected. Your home equity may be completely protected, or may receive little protection at all. You may wish to make different financial decisions in your life depending on your state laws. For example, if you are in a state where your home equity is well-protected, you may wish to pay off your mortgage sooner than you otherwise would. If your home equity is not well-protected, you may wish to max out your retirement accounts instead. How should I title my home? If you are married, and your state allows it, you should title your home as “tenants by the entirety.” What this means is that you own your entire house and your spouse owns your entire house. So if a lawsuit is just against you (like most malpractice lawsuits), and a judgement above policy limits is rendered, the creditor cannot take your house because your spouse owns the whole thing. What about LLCs, trusts, and family limited partnership? An entity such as trust, limited liability company, or limited partnership cannot be formed just for asset protection. It must have a valid business or estate planning purpose. The “C” in LLC stands for company. The purpose of the company cannot be just to protect your assets from creditors. It must actually be a viable business. As a general rule, putting toxic assets such as an individual rental property into its own LLC is a good idea. That way if the LLC is sued, the most you can lose is the value of what is in the LLC. In some states, creditors may be limited to a “charging order” against an LLC, which allows you to hold income in the LLC while forcing the creditor to pay the taxes on that income without ever receiving it! Can I just give my money or assets away if I’m sued? No. That is a fraudulent transfer and will be reversed by the court. They may even look back a year prior to the lawsuit being filed. Asset protection plans must be in place prior to being sued. On a related note, putting everything in your spouse’s name may not be a great idea either. You are far more likely to lose assets to your spouse than you are to your patient. Can a trust protect my assets? The type of trust that protects your assets is an irrevocable trust. An irrevocable trust does not allow you to pull money back out of a trust to use on whatever you want. You have essentially already given it away. Because you gave it away, it isn’t yours, and your creditors can’t take it from you. On the other hand, you can pull assets out of a revocable trust any time you like, and the court will expect you to do so if you are successfully sued for more than your policy limits and the award is not reduced on appeal. Should I buy whole life insurance for estate planning purposes? Probably not. This is a sales technique used by whole life salesmen to vaguely refer to some estate planning benefits of whole life insurance. 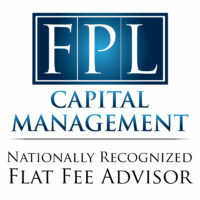 While a whole life policy placed inside an irrevocable trust can help reduce the size of your estate (and associated estate taxes) and life insurance proceeds can help provide liquidity in the event you need some time to liquidate a farm or valuable business, the truth is that the vast majority of doctors will not owe estate taxes nor have a significant liquidity need at death. Current federal estate tax exemption limits are $5.5M ($11M married) and that figure is indexed to inflation. Most doctors simply don’t make enough or save enough to have an estate tax problem. Most states don’t have an estate tax, but a few not only have a tax, but have a much lower exemption limit than the federal limit. These include CT, DC, RI, NJ, IL, MN, MA, MN, NY, OR, VT, or WA. What is a revocable trust good for? You can avoid assets going through probate in two ways. The first is to designate a beneficiary for the account. 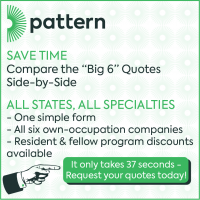 This works well for retirement accounts, insurance policies, and many other types of accounts. That money is available to the beneficiary without them having to do anything more than provide your death certificate. The second method is to use a trust. Anything inside a trust is distributed in private according to the rules of the trust, rather than through the public process of probate. While a trust is more expensive than a will, the total cost of using a trust to pass on assets is often much less once you consider the costs of probate. If you have any significant assets and you want them to go to a particular person, you need a will. You especially need a will if you have minor children. If your will is a simple “I love you will” that leave everything to your spouse with your children as secondary beneficiaries, you can probably use an online legal service to produce your will. As your situation becomes more complex, the value of a good estate planning attorney can be significant. Now that I moonlight, should I incorporate? Many physicians are under the misunderstanding that they can reduce their liability and lower their taxes by incorporating. What they do not understand is that malpractice liability is always personal, and incorporating doesn’t protect against it. In addition, there are very few business deductions that a corporation can take that a sole proprietor cannot. It doesn’t take anything to be a sole proprietor other than receiving earned income on a 1099 form. A sole proprietor can even open an individual 401(k), although he will need to spend 2 minutes obtaining a free Employer Identification Number (EIN) from the IRS before doing so. A limited liability company (LLC) can choose to be taxed as a partnership (sole proprietorship if only one partner) or a corporation. The benefit of choosing to be taxed as a sole proprietor is you do not have to complete a partnership or a corporation return. The benefit of being taxed as a corporation is you can subsequently choose to be taxed as an S corporation and potentially save a few thousand in Medicare tax. What do you think? What FAQs should I include on this list? Comment below! How did those make it onto this site?? New ad-serving service we’re trying out this month. I have the same concerns you do. Good chance they won’t be here very long. Like Google Adsense ads, I don’t control the content. The ads are definitely more annoying than before. On my desktop they are horizontal, so it’s not such an issue besides the fact that they are so much more noticeable than anything else on the site. On my phone it’s really annoying though as it’s vertical so you have to scroll down quite a bit to get to the comments. First time I saw it I thought the site had been hijacked, then I thought the comments were disabled or something because they were so far down. Obviously I’ll keep coming, but the old ads were a lot less intrusive. Two complaints already. These new ads may not last the weekend. And you’re right, they take up a lot more space on the mobile. I dont even see them, my eyes must have adblocker installed. Though Im not on mobile atm. I understand ads allow content, so I dont mind them really. Seriously though, thanks for the feedback. Hard to imagine that anyone who came to this site, read the content, soaked up the knowledge, would then complain about a few ads that they could easily just skip over. I appreciate all the work you’ve done here and I’ll be reading a lot more. I don’t really mind the ads very much and will just pass over them. I dig the format, the questions, and the answers. The only other question I have, and it’s more of a rhetorical question, is how on Earth does the good doctor and father of four find time to share all this information with us? Strong work! I take issue w/ the comment that buying a house by cash is the cheapest: Since the payments are tax deductible, one can make more money investing in the stock market over 30 years than one spends on real estate interest. And if interest rates go down, one can refinance, always keeping the interest, and the tax deduction, high. And no-load index funds are usually tax-efficient. When we bought our house we put offers on 8 homes before getting ours. Each time we were the highest offer, but because we were a conventional loan we missed out to someone paying cash who offered 2-5% less than us. Great FAQ. Happy i fell into the “paying attention” category. FYI – possible typo in the Investing Questions> Should I invest in stocks or real estate? – “Stocks over less hassle…” I think should be ‘offer’, not ‘over’. What are the best sources for me to become financially literate and become a DIY investor? I wish that was a Frequently Asked Question. There’s some truth there. The debt to income ratio for new dentists is pretty alarming these days. They definitely need to be spending some time on their finances, but physicians don’t get a pass on that. Go talk to academic pediatricians. I am fairly sure there debt to income ratio is pretty terrible also. My debt (other than mortgage) has been zero for a long time, but not the case for most in academic peds. Salaries can be terrible too. Very true – I am an academic pediatrician in a high demand subspeciality – but my pay has not changed since I started working in 2004. I actually make less than Gen Peds who see more patients in the time that I see a complicated epilepsy (or other neuro) patient. Even building a program and getting a promotion did nothing to bump my salary – ended up quitting my last job because of toxic academic environment, learnt how much I could live on comfortably and how much I needed to become FI – was a good learning experience for 6 months at home to see what retirement would look like as I detoxified for the new position I started 6 weeks ago. This is the bold print high yield in the WCI text book. Thanks for writing this all up. I didn’t see any ads because of my Adblocker. Your advertisers might not like it, but that is a solution for those of us who don’t want to see them. I haven’t kept up on it, but at least with Google Adsense you can (or you could) block certain advertisers if their message didn’t fit your sight. I would also report ads that were not on the up and up (12% return with no risk). I’ll take a trip through the FAQ later. Not mentioned above in the FAQ but an exceptionally helpful section of the WCI book was listing the order in which accounts should be funded. Knowing which ”buckets” to fill first has been useful during my residency, and will be invaluable once I become a new attending. Yea, people really like that chapter and a similar blog post because it’s so concrete. It’s not quite as concrete in real life when you dig into the nitty gritty. So while I can make a list, advanced users will poke all kinds of very real holes in it. Ideally, a new attending can do everything on the list if she lives like a resident, but most probably won’t do that. Let me think how I’d word that as a FAQ, because that certainly IS a FAQ. In following your site and the Boglehead forums over the past few years, it seems that people can always find ways to poke a hole in any argument. Regardless, you’ve provided a good road map for residents and new attendings to use and modify to fit their personal situations and goals. As residents, my wife and I have saved >35% of our gross pay and each year maxed out our Roth IRAs and 403b. While we’re limited financially as residents in contributing to further accounts, its been your website which has put us on the right path. In talking with my co-residents, they’re baffled at how we’ve done it— I tell them to read your book. Thanks again. All right, take a look at the new FAQ (what order should I invest in.) I think that’s what you were looking for. Where would you place the annual funding of a 529 account in the order? It would go after retirement accounts and before taxable accounts for most. without 401 k benefit can you open individual 401 k ? How much can you contribute? No. Sorry. Employees are limited to the plans provided by their employer. In my institute Some of the per diem kind of moonlighted called as Physician specialist) are paid W2 but they don’t get the benefit of Employer sponsored 401 k /403b….. my question is how can they save for the retirement. I had become a master of using your search function. I guess I can just come here most of the time now. Time saver! Wow. This post is more like a book. Strong work! This is excellent! I’ve learned so much from your website and continue to learn. Quick q – I’m a bit confused about why a solo practitioner would even want to form an LLC. It seems a physician can simply practice as a sole proprietor. However, I find many have LLCs or PCs for the medical practice. Is it only beneficial to incorporate or become a company if the solo MD has employees? If so, why? Funny how many docs screwed that up eh? It does reduce some business liability (like your employees suing you), but not malpractice liability. If you pay taxes as an S Corp (which you can do as an LLC) a highly paid doc can still max out retirement accounts and save some Medicare dollars, but it’s probably only worth it in the $400K+ income range. Certainly you don’t need one if you’re just doing a little moonlighting. Please discuss estate beneficiaries for a single dr. w/ large assets ($5M) and no heirs or family. That certainly isn’t a frequently asked question around here, but with no heirs or family why not list charities as beneficiaries? I am interested in indexed universal life insurance for my adult children who will be retiring in about 20 years. I am not interested in the death benefit but in the ability to borrow from the policy tax free upon retirement. Are you familiar with this type of program and if so what do you think? Yes, I’m quite familiar with it. In general, I think buying cash value life insurance is a bad idea. You’re almost surely better off doing something else for your kids instead. If you do decide to buy a policy in order to borrow against (bank on yourself/infinite banking etc) I think you’re better off with a whole life policy designed to do that rather than an IUL. I haven’t found a use for IUL that I really like to be honest with you. So many moving parts it is hard to believe any of those favor the purchaser. In the long run, I would expect whole life like returns out of it. I have the option to contribute to either a standard 403B or Roth 403B. I’m having trouble figuring out which is the best option as a new attending. I would greatly appreciate your input. Roth your first six months, then standard after that during your peak earnings years. That’s the general rule unless there is something unusual about you. Wonder what to do when you live in a state that does not allow “Tenants by the Entirety” for title, when you consider protecting your home from suits. You indicate (in your book) considering a Trust, which is a great idea, but this would be an irrevocable trust, which limits ones ability to pull equity etc down the road right? A revocable trust does not shelter the home. Seems like there is no real protection for your home in states like this? I guess one is left putting money into your 401 etc., getting an umbrella policy and making sure you have good malpractice insurance. I agree that the likelihood of ever being sued beyond malpractice limits or personal umbrella limits is rare, it would just be nice to have peace of mind is all. I am just curious your thoughts. I know most would say get a estate lawyer, but MAN these guys are pricy! and what’s the point if there are no real options? Welcome to my life. My home equity (aside from $40K) is unprotected aside from insurance. Lol, I guess it is what it is. We just got to work with it. Nonetheless, I agree with the many other points you make about “why a trust is a good thing to do” and will get one. I also just wanted to say thanks, I too agree with the many comments listed above in that your site and input is invaluable. Thank you. term care insurance or does your new course “Fire your advisor” discuss this point? I’m a resident married to another emergency medicine resident. We are trying to decide how to file our taxes-jointly or separately. We are worried if we file jointly, our loan repayments will be much higher during residency than they would be if we filed as single. Do you have any advice on what we should do? I wish it were as as easy as you seem to think to make that decision! It depends on a lot of individual factors. Typically, you’re weighing a lower tax bill with higher student loan payments against a higher tax bill and lower student loan payments. The taxes are permanent, of course, whereas you are merely delaying the student loan payments. But if there’s a cash flow issue, you may not care. Plus, if you’re going for PSLF every dollar less in payments is a dollar more that is forgiven. The devil is in the details and you haven’t given me any! Hello. I am a Family Med physician and am 1.5 months away from separating from the Air Force. I have a Roth TSP and am trying to decide if to leave it where it is and just let it grow, or if to transfer it to a Roth IRA. Thoughts? I will be working as a locums at least for a little bit while I figure out what I want to do long term. I guess the second part of this question is, since I will technically be self employed but make too much to have a Roth IRA, should I go with a solo 401K, a Traditional IRA, or attempt the back door Roth option? Feeling a bit overwhelmed and would appreciate any advice you have. Thanks! As long as you’re okay with the investment and distributions in the TSP, leave it there. You’ll get rock bottom expenses and the unique G fund and you can change your mind and roll it out anytime, but not vice versa. Hi, I’m about to start podiatry school next month and my wife and I are expecting our first baby early next year and she will be a stay at home mom. We’ll have about $20k saved up when we start school and are wondering how to best use it- spread out over the 4 years or invest it? If we should invest, then how? Any thoughts would be helpful and appreciated. Love the podcast. Thanks. I’d carve out a tiny emergency fund and then use the $20K to reduce the amount of debt I took out, probably using it all in the first year. Your best investment is in yourself and the loans you take out your first year will be the ones that compound the longest. Makes sense. Thanks for the advice. I bought a multi-family house (2 unit) which was about $2.4 million . I plan to live in one unit and rent out the other here in San Francisco. What are my options in keeping my tax burden down with regards to rental income (plan to rent the unit out for 4k a month)? I also do locums tenens as a 1099 and make about 100k from that. But i have no LLC. I’m getting paid directly. Any way to make a LLC for both my locums and rental income? Does this seem appropriate? You can shelter some of that income with depreciation. I would NOT put both those businesses in the same LLC. Why do you want to do that? Could you comment/cover the topic of HCA Stipend program? What do you think about getting stipend from them and having to work at a place with a “full admitting privileges?” I tried to look up what this means and wasn’t sure if this equals “you have to work full-time with us for two years.” Could we still have the full admitting privilege while working elsewhere? How do you think this compares with signing with the military as reservist/full time? If you can even just guide me in the general direction for study, I’d be grateful. Thank you. It looks like it is a contract to work for HCA after you’re done with training in exchange for some money in advance. Think of it like a signing bonus. Yes, you’ll need to work at an HCA hospital for two years or pay it all back. It’s totally different from working with the reserves. In one case, you must work at an HCA hospital. In the other, you work for the military. "Slow travel can cost about the same as standard vacation travel, but last a whole lot longer."